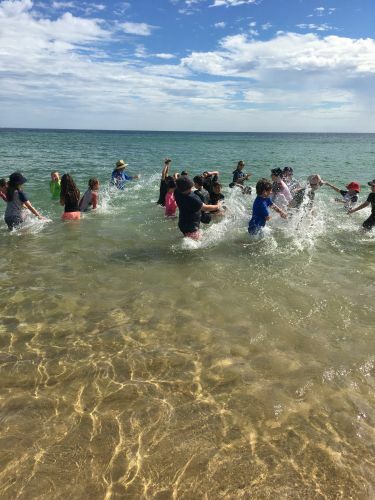 Ocean Road Primary Year 5 Students cooling down after tug-o-war. STUDENTS, parents and teachers spent a school day under the sun for Ocean Road Primary School’s annual Beach Carnival on March 13. 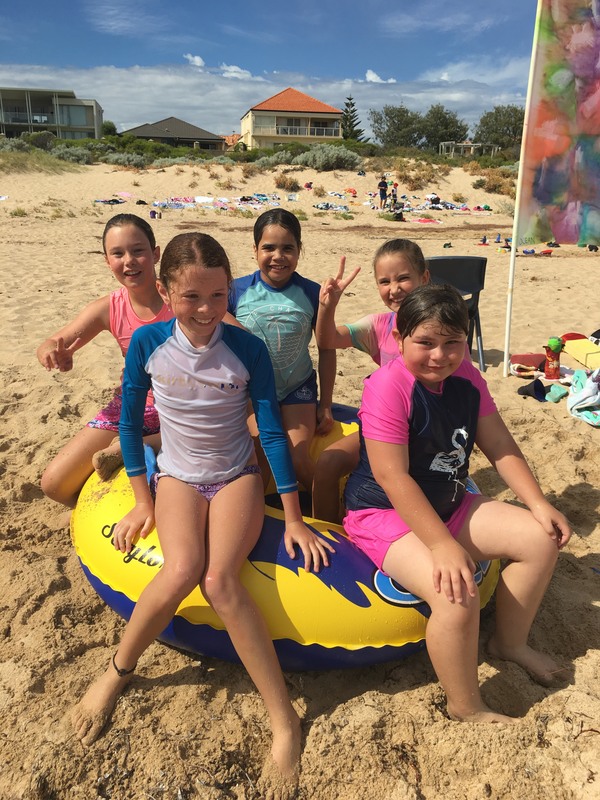 Year three to six students took part in a fun activity day at Avalon Beach. Ocean Road Primary school teacher Rebecca Beatty said each class was divided into four teams. “All teams rotated through 11 activity stations, including board relay, tug of war, leaky tower, survival relay, bucket relay and flag races,” she said. Parent volunteers helped run the stations and cheer on their children. Lilly Rodrigues de Paula Gomes, Natalia Meredith, Emily Norton, Nickly Bennell and Nakita Coetzee taking part in the survival relay. 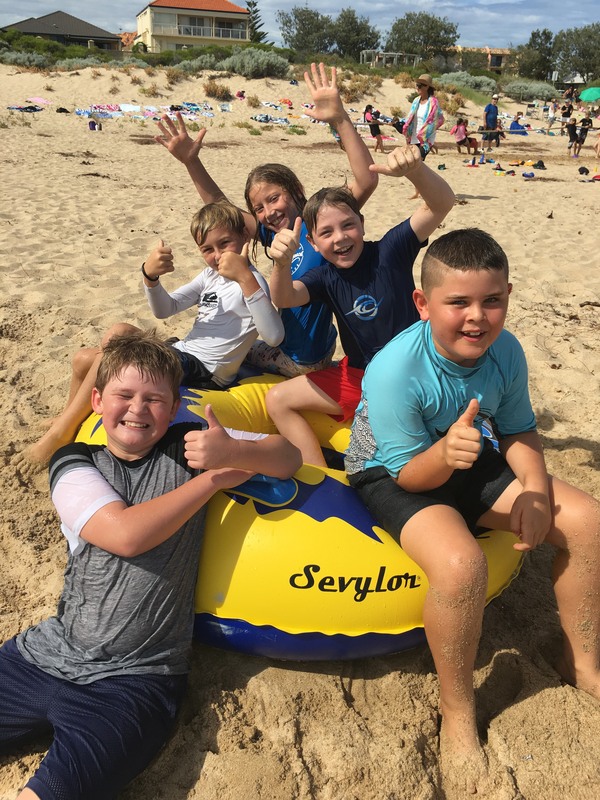 Ocean Road Primary students Gaige Bennison, Noah Hewitt, Denham Humphreys, Tom Maughan and Jaiden Corfield taking part in the survival relay. 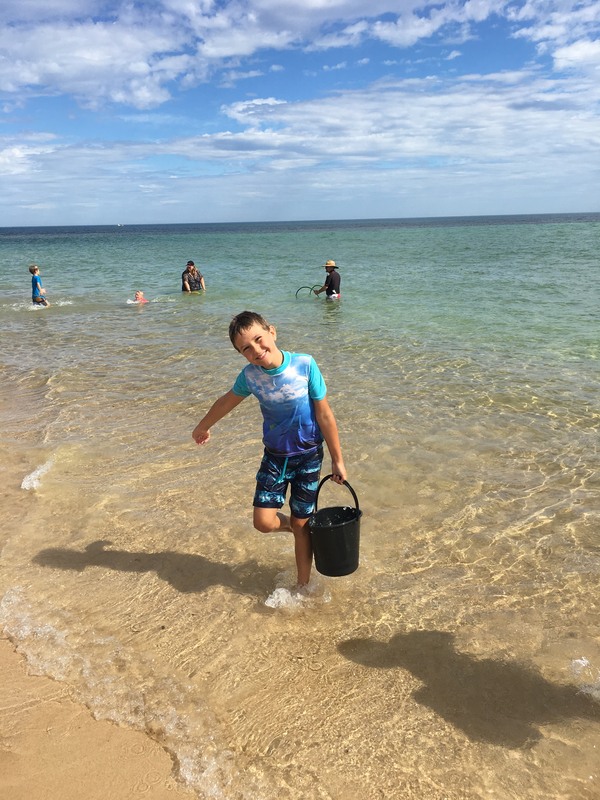 Ocean Road Primary student Dominick Wouters taking part in the bucket relay.